Log openings are something which log manufacturers should work out for you. 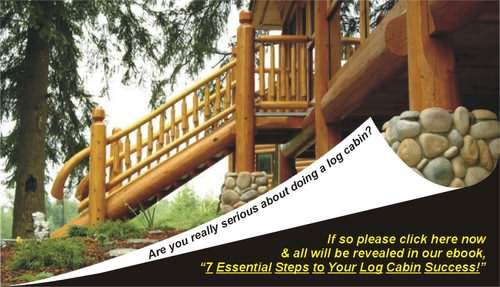 However if you are heavily getting involved in your log cabin design, then it pays to understand why the log aperatures are the size they are. 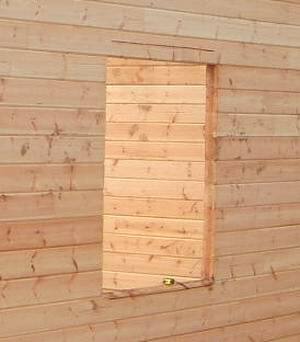 Sometimes it can be confusing understanding why the openings cut in the log walls, are bigger than the windows and doors. If you have lots of windows and doors close together, knowing how this works is a great help! The extra space in the side of the openings in the logs, which is cut out by the log manufacture, may vary according to what log settlement systems they use. The gap over the top of the window and door openings must also be factored in, to make sure the logs provide a strong enough lintel over the opening. Using a standard height door and understanding the height of log openings and minimum lintel depths, will dictate your minimum eave height. 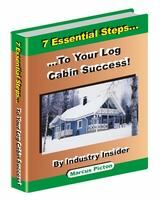 We explain all in our log cabin ebook, which has many diagrams and pictures to help you visualize and understand these areas, (which are not seen after construction). Do you want to understand how log openings work? Our ebook explains all.